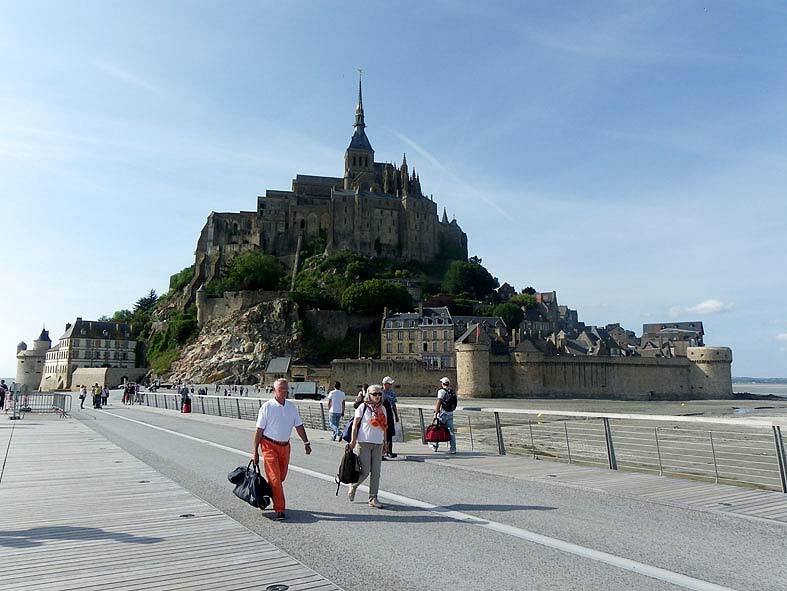 The famous Mont Saint-Michel has undergone an ambitious project to redevelop its access and thus make it an island again during the spring tides, with the aim of preserving its bay. After 20 years of studies and building work, the new amenities are now operational. A dam built on the Couesnon facilitates dredging in the vicinity of the Mont, by moving the sediments. Likewise, the creation of a new car park on the mainland and the introduction of shuttle buses have made it possible to remove the old maritime car parks as well as the causeway dating back to 1879, which has been replaced by a light footbridge seemingly suspended over the bay. 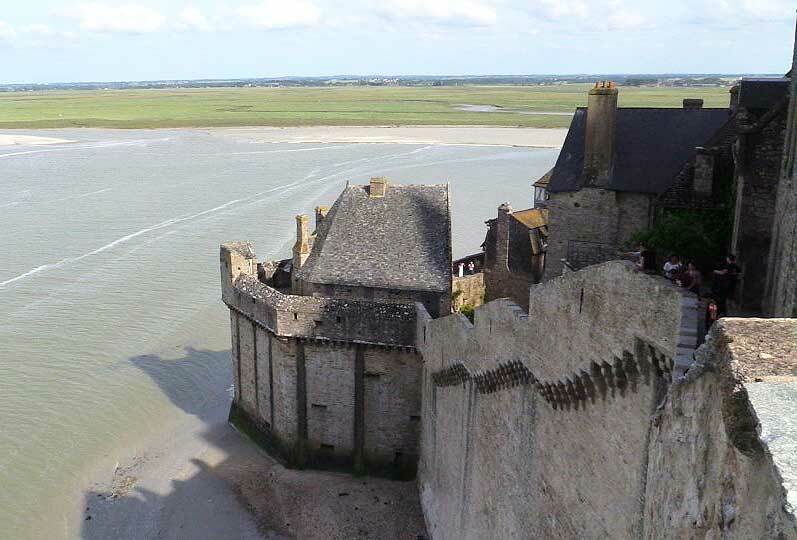 At the highest tidal coefficients, upwards of 110, the Mont is cut off from the mainland and the water reaches heights of over 12 metres around the ramparts. To fully experience the phenomenon of the rising tide, it is a good idea to arrive 2 hours before high tide so you can watch the spectacular rising of the water. A unique site in Europe, the bay occupies an area of 500 km² between Cancale and Granville. It is also a transitional space between land and sea, between freshwater and saltwater, comprising a variety of ecosystems. Mont Saint-Michel Bay is home to around a hundred fish species. The harbour seal and over 130 bird species have been sighted there. At low tide the bay reveals all its secrets and the walk across it is an impressive and rewarding experience. Visitors should be accompanied by a guide as the site can be dangerous because of the currents and patches of moving sand. This provides an opportunity to learn more about this area, which is a UNESCO World Heritage Site and a Natura 2000 site. The Tourist Office will give you all the information you need to make the most of your trip to this extraordinary site.